Nettle Net Boat Pool construction creates a jellyfish free protective net pool. Every Nettle Net® BOAT POOL® is constructed in a manner similar to that of fine clothing. Components are laid-up, handled, attached and finished in a way that lends them to exacting processing and detailed inspection. 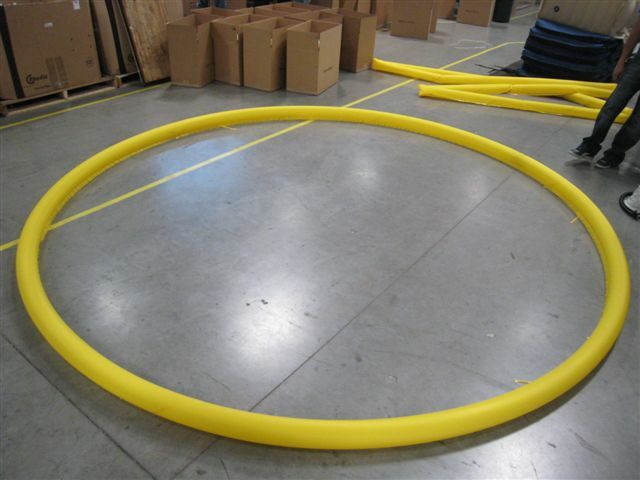 The flotation ring, pictured at left, is made of the same expensive, tough, light, high-tech composite fabric that is used in aircraft life vests and life boats. 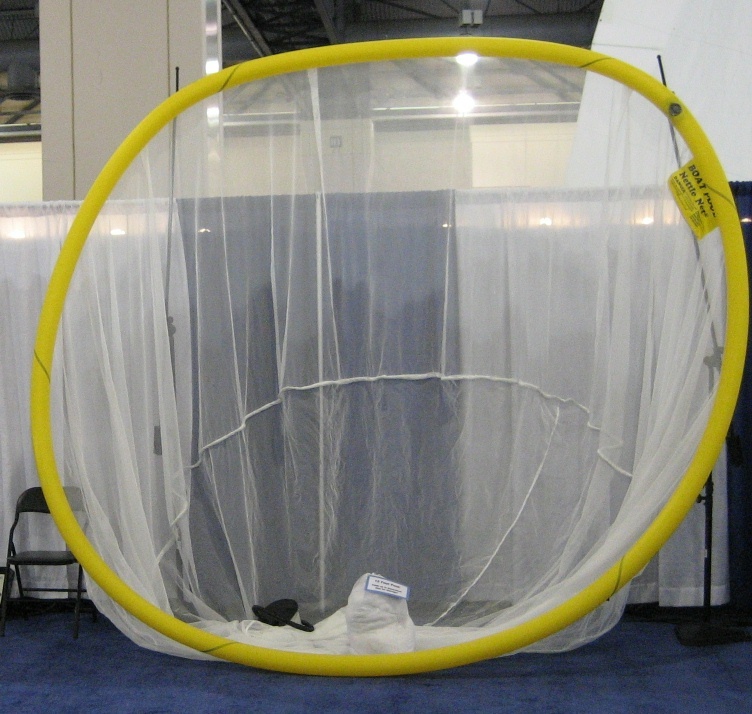 The netting material is attached to the flotation ring to form a continuous protective barrier from jellyfish, completely around and below the interior volume. The unique specifications of the netting is very important. The 1/16” mesh is small enough to bar the stinging jellyfish, but open enough to allow water to move freely through it without acting like a sail or parachute. It is rugged enough to resist years of wear. The netting is also highly resistant to jellyfish tentacles sticking to it – something you will appreciate very much during retrieval and storage. Weighted line sewed into the netting enables the material to sink in the water and minimizes drifting. The included foot pump will inflate the floatring in just minutes. Tie your 3/8” line to the pool and the boat ladder and you are ready to swim!